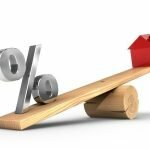 Is It Still a Good Idea to Refinance? Refinancing activity has certainly slowed over the past year as interest rates have increased. It's easy to understand why as interest rates have gradually risen. But the key term here is "gradually." Rates have in fact gone up … [Read more...] about Is It Still a Good Idea to Refinance?